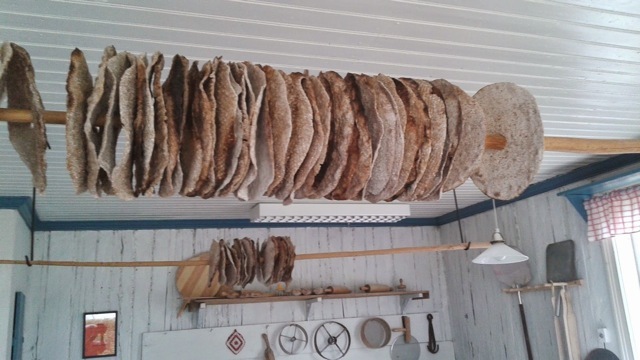 Sweden has a long history of baking hard bread from rye flour. The hard, crisp bread was often hung from a pole suspended from the ceiling, where it would keep all winter. It’s still hugely popular. In many households it’s served with every meal. 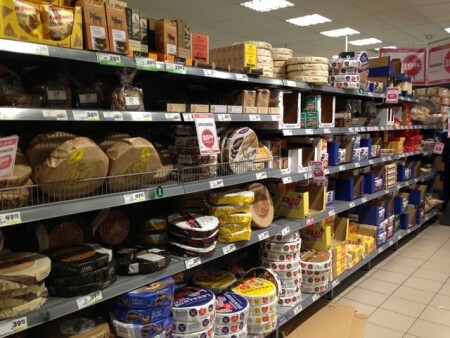 Every grocery store has an aisle filled with lots and lots choices. For years there was small bakery that still baked their bread in wood fired ovens. It was called Vika Bread. 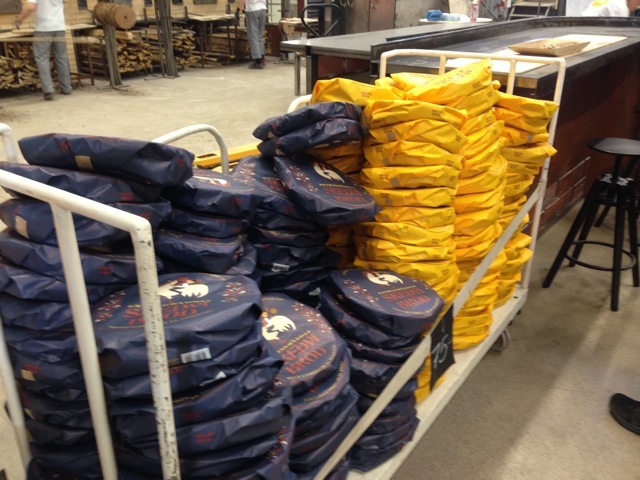 They had eight wood fired ovens and a great package! 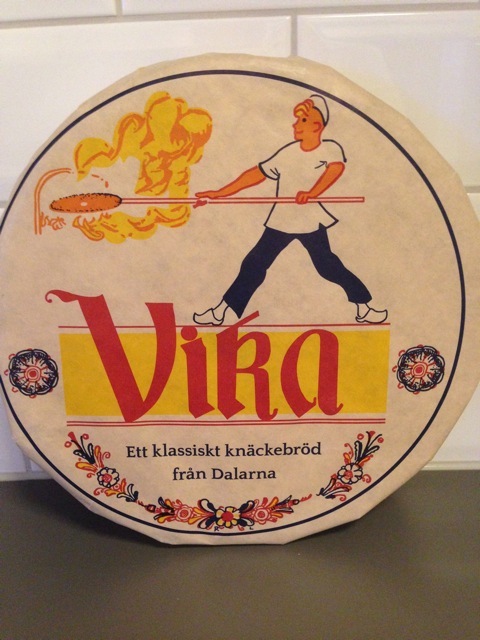 About a year ago, Vika bread was bought out by one of the big hard bread producers. 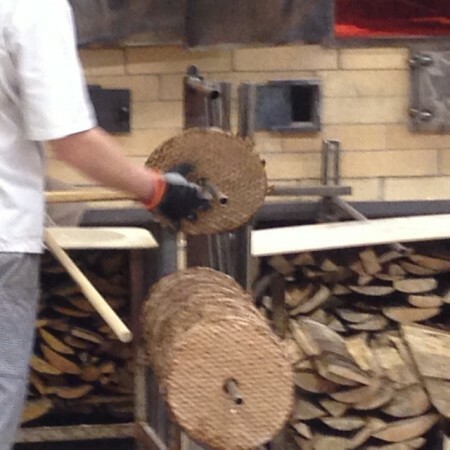 Sadly, they moved the operation from the small town where it was produced and—sadder still—they destroyed the wood fired ovens. 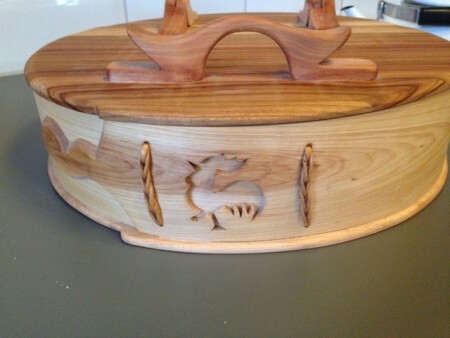 But….a couple of young entrepreneurs have started a new wood fired bakery! 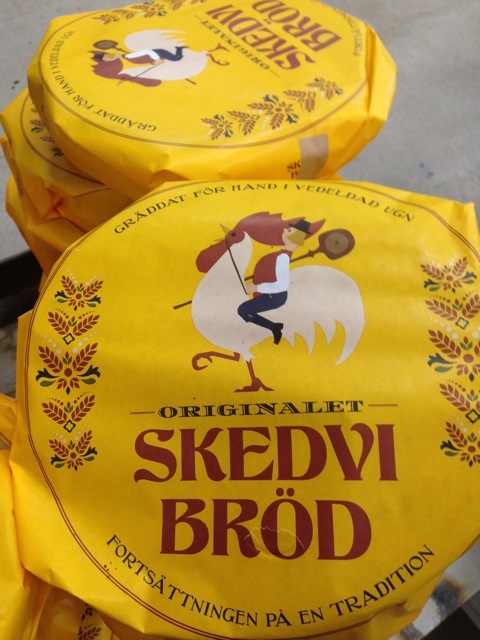 It’s in the little town of Stora Skevdi, and is called Skevdi Bread! 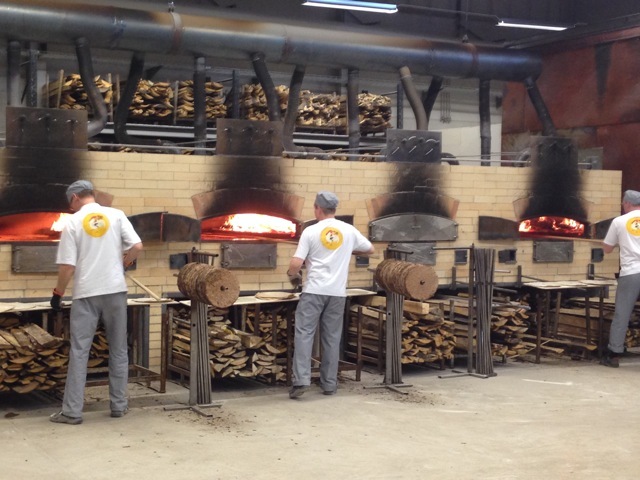 They have four ovens—and the public is welcome to come observe the operation! 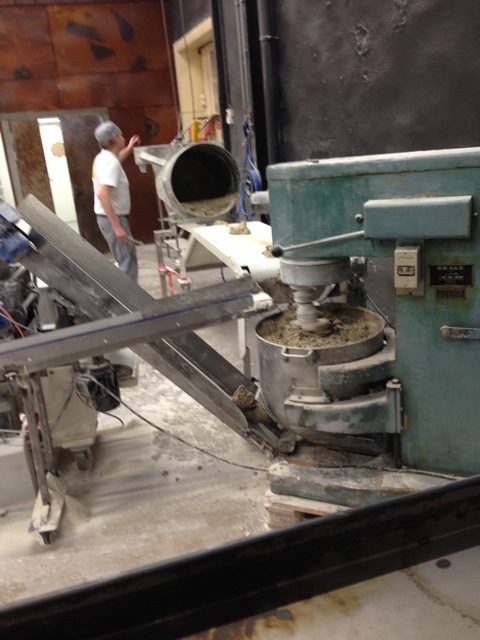 The dough is mixed in giant mixers, rolled by a machine and the big rounds are cut out—with a little hole in the middle, just like in the old days. 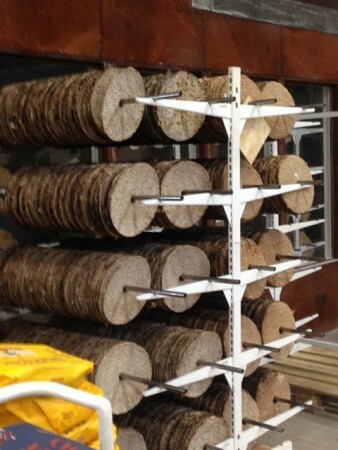 They spend a short time in a proofer, then it’s off to the ovens. There are slabs of wood burning on each side of the domed oven—each one tended by a single baker. 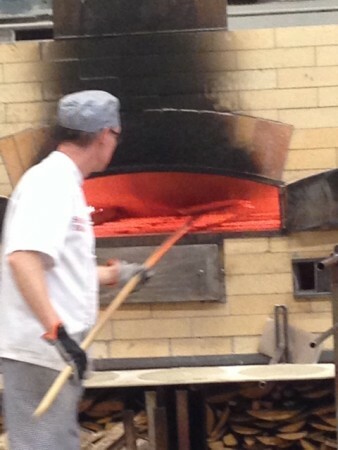 They use large paddles to slide the rounds into the oven. Each oven holds fifteen rounds. 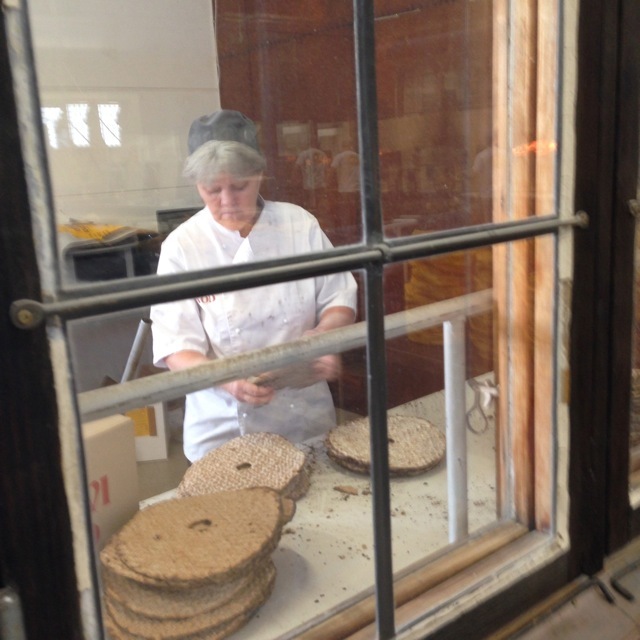 After they’re in the oven a few minutes, they move the ones in the middle to the edges. They don’t bake very long. When they’re finished, the baker slides them over a metal pole to cool. That’s the purpose of the small hole in the middle. When the rods are filled, they’re moved to a specially made rack. 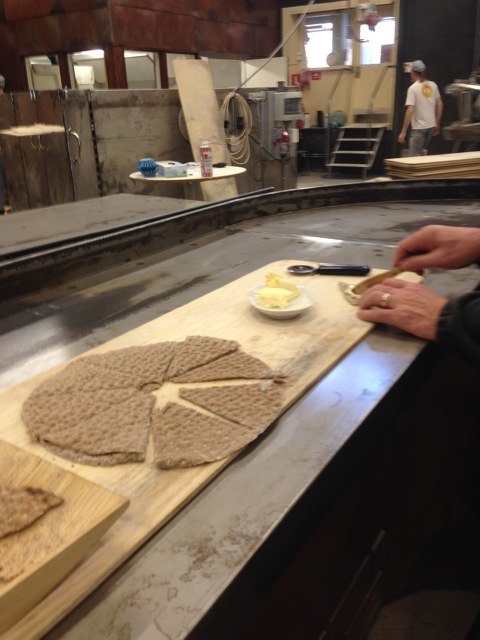 While we were watching, one of the bakers came over and asked if we’d like to try a warm sample. you bet! It was really tasty. 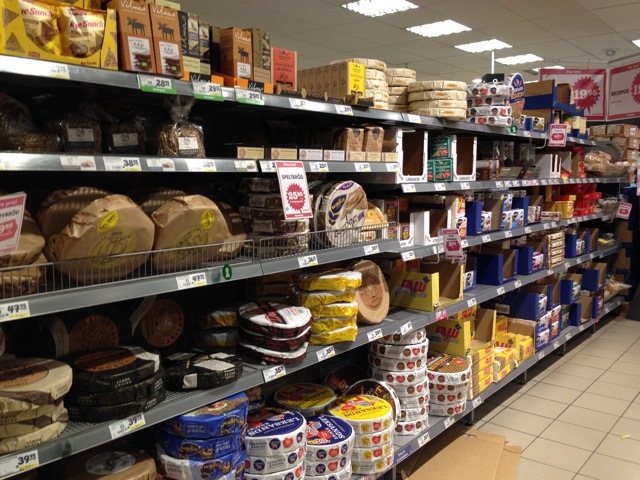 I’d never had warm hard bread before. It was delicious! The yellow wrapped are “regular” and the blue ones are “dark” baked. 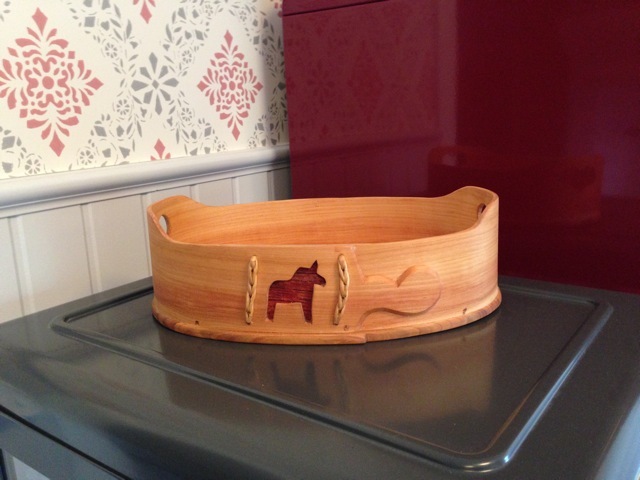 Last summer at “Cow Midsummer, ” a festival in Dala-Floda, I’d purchased a hand crafted wooden basket to serve hard bread in. At Skevdi Bread, they had a great storage box with their logo cut into it. It reminded me of the one I already had—and I decided to buy it. When I got home and compared the signatures on the bottom, sure enough—made by the same craftsman! 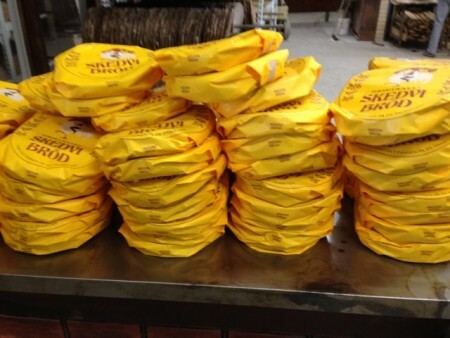 Now you’ll find Skevdi Bread on our table for most meals!